Legendary goalkeeper Gordon Banks will be the first person to have a bin lorry in Stafford named after him. And the move was said to have brought a ‘smile’ to the late keeper’s family who gave the idea their blessing. Despite not being knighted, the new wagon is to be called “Sir Gordon Banks” in his honour. Stoke City fans are petitioning the government for a change in the law to allow their former keeper to receive a posthumous knighthood. The name was a popular choice, not only for his achievements as a goalkeeping great, but also as a nod to his early working roots lumping sacks of coal around. The move follows the tradition of other vehicles being named such as boats and gritters. 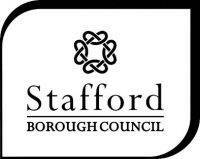 New bin lorries have been purchased as part of Stafford Borough Council’s waste and recycling household collection service. Councillor Frank Finlay, Cabinet Member for Environment and Health, said: “We’ve seen boats, HGVs and gritting machines all being named and now it is the turn for a bin wagon. The lorries collect around 54,000 tonnes of recycling and waste from 59,000 homes across the borough. Residents recycled around 52% of what they threw out in 2018.